Found out my mom threw away (or sent it to Goodwill) my Teenage Mutant Ninja Turtles: Hyper Stone Heist with my case and manual. And I just looked it up, and it turns out to be a rare and expensive game, especially if complete lol. Was playing the Punisher on Sega tonight with my bro. While a rare game, it is an extremely crappy beat em' up. I need a good co-op game. Recommendations? Prefer a beat em up. I like Maximum carnage a lot, but it is single player. It's sequel sux even though it offers co-op. So are we gonna do this for every console, then? dsheinem wrote: So are we gonna do this for every console, then? "How's your Apple Pippin gaming going on?" I like those other threads alot. I guess I just see these sort of threads as restating one of the default questions of the existing platform specific subforums and thus collapsing what could be interesting, unique discussions of each game into one "catch-all" for the whole system. But I'm probably just being cranky, so carry on. Been playing Sonic's Ultimate Genesis Collection on Xbox 360 and the Sega Genesis Collection on PSP far more than I've been playing an actual Genesis. I do have the Genesis hooked up... but I've been using it with the PBC to play Master System games. dsheinem wrote: I guess I just see these sort of threads as restating one of the default questions of the existing platform specific subforums and thus collapsing what could be interesting, unique discussions of each game into one "catch-all" for the whole system. But that is actually why I kind of like these threads. It gives us a place to throw one liners. Nobody likes to create threads for small stuff, so it's just a cool hang for the small stuff. Haven't touched the genni in awhile but the last game i was playing was Beyond Oasis. Its good. Not great. I want to like it more but then i die at the boss of a dungeon and have to replay the whole f'n level. MulishaSoldier929 wrote: Haven't touched the genni in awhile but the last game i was playing was Beyond Oasis. Its good. Not great. I want to like it more but then i die at the boss of a dungeon and have to replay the whole f'n level. I was playing this the other day myself. The control is much looser compared to games like A Link to the Past, which makes it more challenging for me. I'll probably finish it in the future once I sit down and give it a chance. I'm not gaming on it as much as I should be, that's for sure. 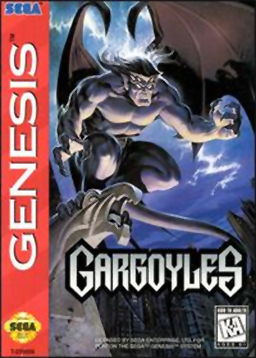 I just picked up the eye-pleasing Gargoyles for it, not too long ago, and I've been meaning to sit down and really play it. And I recently got a copy of Streets of Rage 2, but I played it so much via Genesis collections, that I'm in no rush on that one. The last Genesis game I did play through was Cadash. I nice combination of fast arcade-action with a little of RPG elements nicely mixed in. The world is an interconnecting 2D platforming fantasy world, too. Which has points going for. My only complaint, really, is that it's far too short.